The project management space is one where there is intense competition across the globe. Project environments are increasingly becoming more complex; and in order to manage the rising risk and paucity of resources, organisations must redefine their PM strategies. Project Managers must emerge as leaders in the global market and understand the need for team collaboration and communication in order to stay on top of the competition. 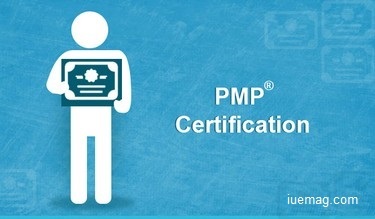 Helping them do this are various established Project Management credentials such as the PMP credential from PMI, USA. PMP, widely recognized as the gold standard for project managers, ratifies your knowledge and experience in effectively leading and directing projects. Another proven method that brings in benefits and project success is the Projects IN Controlled Environments, PRINCE2, the principles of which can be applied to all high-level phases of a project right from start to finish. Oracle Primavera P6 V8 is a powerful and robust integrated project portfolio management tool that helps to handle complex projects with ease and prioritize, plan, manage and evaluate projects, programs and portfolios. Making a Project manager’s job simple is Microsoft Project 2013, a tool that provides smart functionalities to efficiently plan, collaborate and track the project, and stay more organized. To know more about any other IT professional courses click here. So how do these certifications and credentials help you to stay ahead in the Project Management world? First class skills: Project management certifications will give you the skills and competence to manage projects of all sizes using a common, consistent approach. Demonstrate professional competence – These PM certifications are globally accepted recognition of proven capabilities. Set yourself apart from the competition: In the intensely competitive PM world, these credentials prove that you have industry- recognized knowledge and skills in Project Management. Understand the functionality, tools and techniques: You will get an in-depth understanding of PM tools and proven best practices, and learn to use Project Management software with maximum efficiency. Best practices: These courses have been created by putting together the best minds in the business. Get the right skill sets, tools and techniques to set up a team, lead and manage others to create project success. Risk mitigation: Risk is an inevitable part of any project. The right training will help you predict risk and mitigate any potential problems before they arise. Smart use of resources, planning and budgeting: You will learn how to stretch scarce resources, make informed budget estimates and create workable plans for project execution. Plan and control complex projects: Oracle Primavera and PMP offer industry recognized solutions for managing complex projects. As such, you will be adept at using the solution which is deployed across leading companies worldwide. Stay Ahead of Change! : Change is inevitable in projects that are of long durations. The right training will help you stay on top of the challenges that come with handling complex long-term projects. Learn to effectively prioritize and manage the execution of small or large-scale projects and handle change with competence. Greater Job Opportunities: It has been proven that PMP Certified Project Managers command, on the average, 20-40% higher pay over non-credentialed project managers with similar experience. Make the right choices for your Project Management career. By choosing to undertake a certification course, you will significantly improve your efficiency and productivity in all your project experiences, and achieve higher success rates in project delivery. Any facts, figures or references stated here are made by the author & don't reflect the endorsement of iU at all times unless otherwise drafted by official staff at iU. This article was first published here on 3rd February 2016.